So you’ve learned when to be in the junk bond market and when to be out as well as how to evaluate individual junk bonds and have decided to take the plunge and pick out an individual junk bond or two. You have found a likely looking issuer of these bonds, done your (hopefully extensive) due diligence, decided that the issuer is highly likely to be able to pay all scheduled interest and principal payments and are determined to buy some bonds. How does one actually do this? While there has been a revolution in online trading of stocks by retail investors in the last 20 years or so, the bond market has been slower to replicate the ease, low costs and lack of hassle stock investors enjoy. The bond market is chiefly set up for institutional investors who trade $1 million or more in face amount of bonds at a time and retail investors have largely been left to do as best they can. It is a fact of life that institutional investors get vastly better trade price execution than retail bond investors, and they do so at a lower transaction cost. This is in sharp contrast to the trading of equities where a plethora of online retail equity trading platforms and heavy competition between discount brokers has dramatically lowered costs for retail investors and execution is (if anything) better for retail investors. So would-be retail bond investors must exercise more care than is necessary with equity trading in order to avoid getting ripped off. To buy or sell a bond, start with your broker (duh). Different brokers have vastly different trading platforms and rules when it comes to trading bonds. For example, Fidelity will allow you to search both investment grade and junk bonds, show you the number of bonds available at both the bid and ask price, and will even allow you to submit a limit order (although you cannot put in a good until cancelled order or one that is more than a small amount away from the current bid/ask). I am lead to understand that ZionsDirect and Interactive Brokers are even more accommodating. On the other end of the scale, Schwab will only let you search investment grade bonds online (you must call the bond desk to trade junk), will only let you buy online (you must call to sell), and does not allow limit orders at all. In fairness to Schwab, I was told by a customer service rep in December that the online bond trading platform will soon be greatly expanded and allow junk trading online. But since most people are unlikely to set up a new brokerage account just to trade bonds, we must otherwise live within the limitations of the broker(s) we deal with. So the would-be retail bond investor should begin by exploring the bond trading platform of their chosen broker. If you have questions about how to trade bonds through your existing broker, call the customer service line and ask before you are really ready to trade. In addition to giving you the CUSIP, the search also will show you recent trades in a specific bond. Clicking on the OSG 2018 bonds, we can see that the bonds traded down to 60 or a bit lower and have recently rebounded to around 70 cents on the dollar (a yield to maturity is also calculated for each trade). Take careful note of recent trades and the prices at which different sized lots are trading. Typically an institutional sized block ($1MM face) will get better pricing on both the bid and the ask than a $10,000 retail sized trade. Reviewing the trade history of a bond is important to make sure that the bid or ask you are offered when attempting to trade are within reason given recent trades. The relative lack of liquidity in the bond market and the fact that it is oriented for institutional investors rather than retail investors means that you really want to know where a bond has been trading before agreeing to buy or sell at a given price (be careful not to get ripped off). Now that you have your specific bond and CUSIP, you will need to log into your broker’s website (or call, in some cases). You can typically search by CUSIP. Unlike the equity market, not all bonds are available to trade every day. I own a specific bond that sometimes will not trade for a month at a time (such a bond is said to “trade by appointment” in bond-speak). You may look for a quote on a specific bond and be offered a bid and an ask close to recent trades; you may be offered a very wide bid and ask that is outside recent trades; or you may not even be offered a quote. If you are not offered a quote or the quote is very wide compared to the range of recent trades, be patient. Come back over the next few days to a week and the bonds you want to buy or sell will probably show up. If it takes a couple of weeks to get a trade done, no big deal. After all, you will most likely be holding the bond for years so what does a week or two matter? Despite your best efforts to get a decent price for a bond, it is likely that as a retail investor you will pay more for a bond and you will receive less upon selling a bond than an institutional trader would. Yeah, it isn’t fair, but that is life. That said, if you have done your homework and have found a nice bond trading cheap, sometimes paying up a couple of points over what recent trades have been makes sense. During the 2008-2009 implosion of the junk market, I finally tracked down a retail lot of a bond I had been searching out for weeks. I paid 3 or 4 points over previous trades, but at 60 cents on the dollar and a generous 9.5% coupon I decided that it was worth paying up now rather than risking not finding the bond again. When it comes to selling bonds, you have a default option that always allows you to avoid the retail bid/ask beating: just hold the bond until it is called or matures. If you wait until the bond turns into cash, you don’t even pay a commission. Note that this only works if the issuer remains healthy enough to pay off the bonds at maturity and you don’t need the cash sooner than whenever your bond matures. All of the preceding is simply the mechanics of buying or selling a bond. 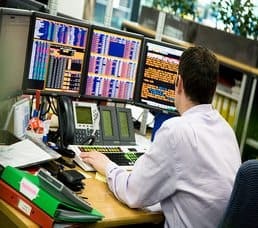 It presumes that you are capable of doing the necessary research and due diligence to select individual bonds; that you have a significant risk appetite; that you are willing to incur significant price volatility; and that you are comfortable with the high likelihood of owning at least some bonds which will default. You will be wrong and lose money from time to time. Do you due diligence, be careful, and expect to have some mistakes in your portfolio.